For those of you who might be curious as to why the change to the information regarding our annual three day shoot a little historical information should satisfy your curiosity. 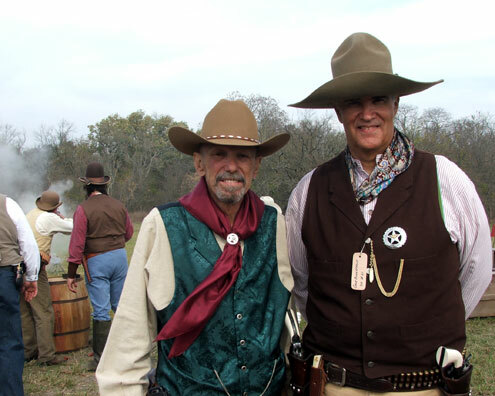 On May 25, 2010, supporters of the 2nd Amendment lost a great friend in north Texas. 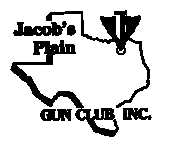 On that day, Joe Berger owner of Jacobs Plain Gun club passed away after a long courageous battle with cancer. Besides being a staunch 2nd Amendment supporter, Joe was a believer in the conservation values long associated with the American West. Over the course of 10 years, Hoss Jack, Tom Jack and I worked closely with Joe to make our 4 stage 2 dimensional cowboy range into a real Old West town. With the demise of those old facades a new town Lane Town, named for Joe’s wife’s family on whose land the range is located, was born. When we started our NCOWS posse it was only fitting that the posse should bear his name as a tribute to the man we owed so much. But a posse name was just not sufficient and plans were made to construct a memorial for our friend at Lane Town. I am proud to report that on May 20, 2012, we dedicated that memorial. One of the dreams we shared with Joe in the creation of Lane Town was to host a multi-day match at the range. Fortunately, even while fighting cancer Joe lived to not only see but to attend the first such match at his range, the first ever NCOWS Southwest Regional. We have held three of these matches and have scheduled the fourth multi-day match for mid October, 2012. This match will be the same great three day event as previously with one exception. 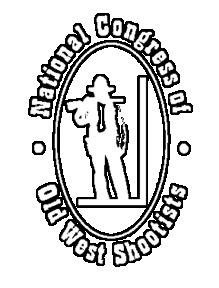 From May 20, 2012 forward, the match will be known as the Joe Berger Memorial Match to recognize Joe’s role in making it possible for all Old West Shootists to enjoy these events. But we’re not done yet. We have one final building to add to Lane Town. What Old West town would be complete without a saloon? In the keeping with Judge Roy Bean’s naming his place after the woman he most admired, so too will our watering hole be named after a lady we all admire. When finished, “The Sandy Lane” saloon will be the crown jewel in Joe’s Lane Town. Just as Sandy was the crown jewel in his life. So mosey on out to Lane Town this October and shoot the Joe Berger Memorial Match. While you’re there stop in The Sandy Lane and say a silent “Thank You” to the pard who made it all possible…our friend, Joe Berger.